Available from Amazon United States. Available from Amazon United Kingdom. 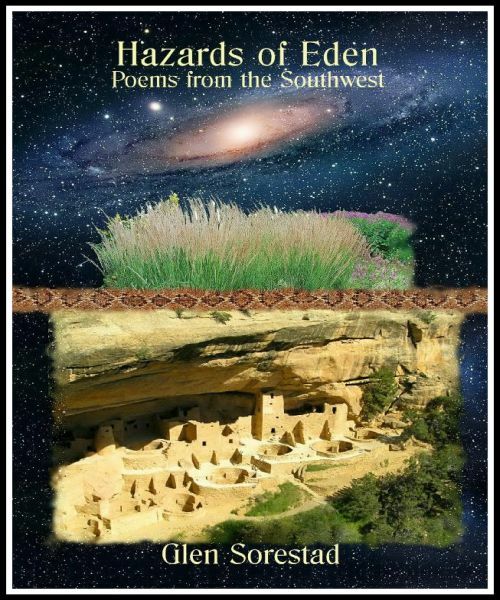 This collection brings together poems that reflect Glen Sorestad's fascination with and affection for the American Southwest’s distinctive landscape and the people who inhabit it. From his first visit over 30 years ago, Sorestad has been recording in poetry his experiences, stories he hears, and his unique observations. The result is a gathering of insightful and entertaining poems spanning several decades and countless miles of traveling Southwestern highways and backroads. Glen Sorestad, first poet laureate of Saskatchewan, has published more than twenty books of poems. His poetry has been translated into seven languages and appeared in dozens of anthologies and textbooks.